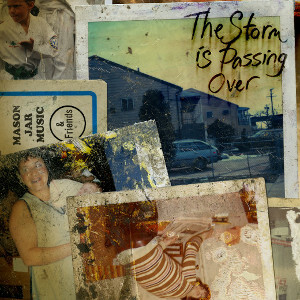 Produced in only two weeks, Kensington’s Mason Jar Music released “The Storm is Passing Over” to help raise funds to benefit the work Occupy Sandy is doing to help people harmed by October’s ravaging storm, Hurricane Sandy. Money raised from the sales of the album will go directly to Occupy Sandy, which is a leading organization doing relief work for many of Sandy’s victims in and around New York City and the tri-state area. Included among the folk artists participating on the album are Roseanne Cash, Abigail Washburn and Bela Fleck, Town Hall, Tift Merritt, and more. Recorded in just 14 days during December, some of the artists performed from the comfort of their own homes which were in locations around the world, including Nashville, Portland and Paris. Most of the artists however came to the Kensington recording studio of MJM, collaborating with co-founders Dan Knobler and Jon Seale. For a donation of only $5 visitors to http://thestormispassingover.com/ can receive a digital download of this heartfelt album knowing that all of their money will be used to help victims of Hurricane Sandy.